China-US trade talks will continue in Washington next week, Chinese President Xi Jinping said Friday, as the world’s top two economies try to resolve a festering trade dispute that has roiled global markets. “The consultations between the two teams have made important step-by-step progress,” Xi told top US and Chinese trade negotiators after two days of high-level talks wrapped up in Beijing, according to China’s official news agency Xinhua. 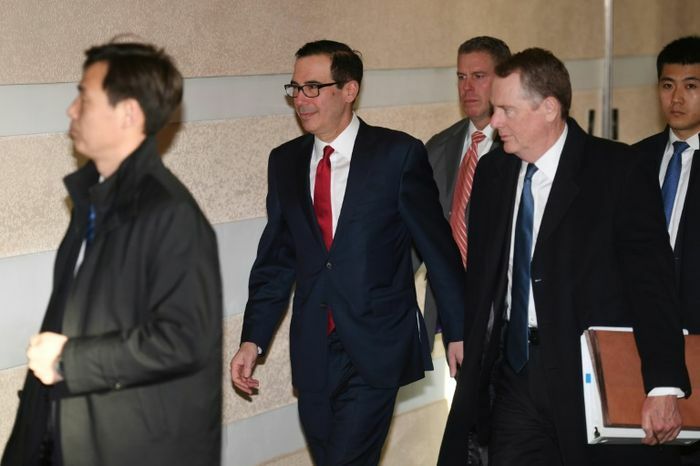 Officials of different levels have held talks in Beijing all week, hoping to at least create sufficient goodwill to stave off an escalation of a tariff war ahead of a March 1 deadline imposed by US President Donald Trump. Beijing and Washington have already imposed duties on more than $360 billion in two-way trade, hitting their manufacturing sectors and shaking global financial markets. “Next week the two sides will also meet in Washington. I hope that you will continue to work hard to promote a mutually beneficial and win-win agreement,” Xi said. US Trade Representative Robert Lighthizer told Chinese President Xi Jinping on Friday that while there was more work to do, they had made progress. “We have had two very good days of negotiations,” Lighthizer told Xi. The delegations met President Xi in Beijing’s Great Hall of the People after their talks. “We all believe that China-US relations have broad common interests in safeguarding world peace and stability and promoting global economic prosperity and development,” Xi told the US negotiators. 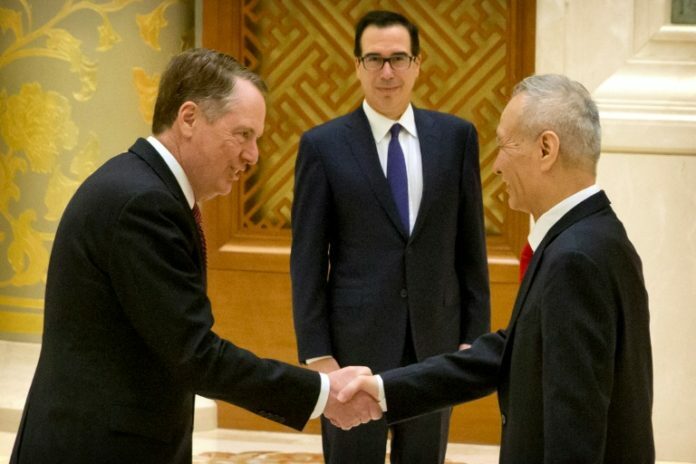 Lighthizer and Xi were joined by US Treasury Secretary Steven Mnuchin and other US officials seated across from China’s top trade negotiator Liu He, Foreign Minister Wang Yi and central bank chief Yi Gang. Earlier Mnuchin said on Twitter that the two sides had held “productive” talks. The high-level negotiations began after Trump suggested that if talks in Beijing went well he may extend his March 1 deadline for China to make significant concessions on trade before resuming the tariff onslaught. Trump’s economic advisor Larry Kudlow had earlier said Xi’s willingness to meet with the US officials was a “very good sign”. Kudlow also said “the vibe is good”, in characterizing the talks, but said there was no decision yet on extending Trump’s tariff truce. After Trump suggested he may delay plans to more than double punitive tariffs on $200 billion worth of Chinese imports, Bloomberg News reported that a 60-day postponement was being considered to allow more time for negotiations. Washington accuses Beijing of a range of unfair trade including installing myriad barriers against foreign access to its market, subsidies that favor Chinese companies, rampant theft of intellectual property, and the requirement that foreign firms transfer proprietary technology to their partners in China as a condition of doing business. Expectations for an accord have been growing as China faces pressure from slowing economic growth and as the market turmoil rattles Trump and his economic advisors.